Dr. John Roberts was born and raised in the small town of Trinity, Texas. He received his Bachelors of Science degree from The University of Texas at Austin. After obtaining his Bachelors Degree, he attended Baylor College of Dentistry in Dallas, Texas where he received his Doctor of Dental Surgery degree with honors. While in dental school, he was honored with the Tollesbol Award for the highest grade point average for his clinical work on patients. He was also elected President of the Odontological Honor Society and was chosen to be a member of Omicron Kappa Upsilon, the most prestigious honor society at Baylor College of Dentistry. After completing dental school, Dr. Roberts was accepted into the Pediatric Dental Residency Program at Baylor College of Dentistry. He completed a comprehensive two year training program at both Texas Scottish Rite Hospital and Children’s Medical Center where he cared for infants, children, and teenagers. Through this training program, Dr. Roberts received extensive experience in Hospital Dentistry as well as experience working with children who require special needs. Hospital Dentistry often involves advanced procedures including restorative and cosmetic work under general anesthesia in an operating room environment. Dr. Roberts has been involved in numerous research projects and publications on growth and development as well as pulp treatment of primary teeth. Out of the entire nation, he was honored as a Langman Award Finalist in 2004 for his research on cleft palates. Dr. Roberts completed his Master’s Thesis on comparing nerve therapies in primary teeth, and in 2009 he was selected as a National McDonald Award Finalist for his research. The McDonald Award is the most prestigious award in the country for research projects in pediatric dentistry. 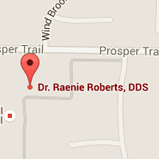 Dr. Roberts is a Board Certified, Diplomate of the American Board of Pediatric Dentistry and is currently a guest faculty member for the Pediatric Residency Program at Baylor College of Dentistry. Dr. Roberts’ practice philosophy includes caring for children beginning at age one and continuing through their teenage years. He enjoys developing a relationship with both patients and parents, as well as educating them on proper home care that will bring years of healthy smiles. When not seeing patients, Dr. Roberts and his orthodontist wife Dr. Raenie Roberts, enjoy living in Prosper and giving back to their community. 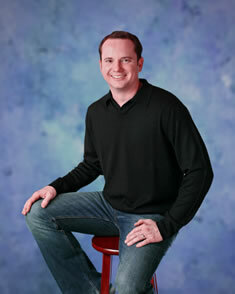 Dr. Roberts enjoys spending time with his family and friends, riding horses, and playing golf.